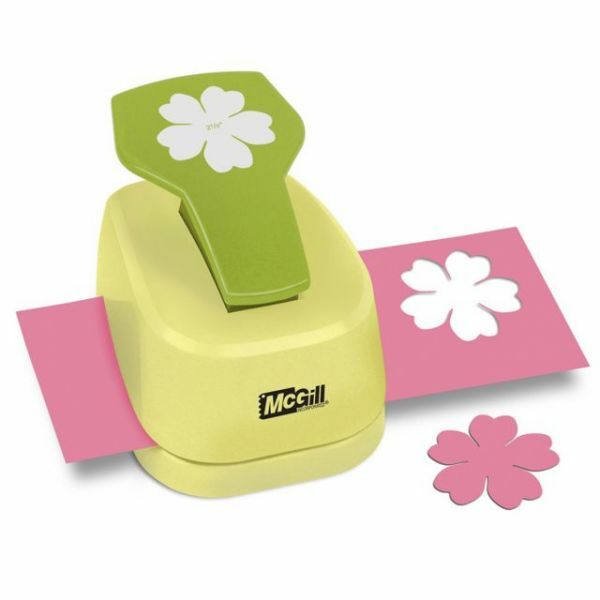 Paper Blossoms Lever Punch - MCGILL- Lever Punch. Perfect for all your paper craft projects! The ergonomic lever-handle makes the punch easier and more comfortable to use. This package contains the Perfect Petals Floriano Punch (design size: 2-1/8x2-1/8in). Actual punch measures 3-1/2x3x4-1/2in. Imported.